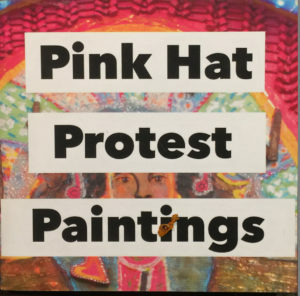 I have a show right now at the Art League Gallery titled “Pink Hat Protest Paintings.The runs runs now until November 4th, 2018. A companion book to this show is now for sale. It costs $19.50 ( add $5.00 for shipping and handling if you need it mailed to you. ) On sale now here at the Workhouse Arts Center and the Torpedo Factory. ( Please contact me on Contact page and we can arrange the book to be shipped to you.) To see a video of this book and the images inside, please click here.